Home / WARD Screening Tonight! So I had a blog post cooking for you guys that was FULL of inspiration and cheesiness, BUT I decided to take a turn and talk about something a little more time sensitive. You see, a movie that I worked on last year is having its first screening tonight. And this movie is really important to me. Not only was it an amazing production to be a part of, from the very first moment of the audition, but the movie is also about a really important topic, mental health. 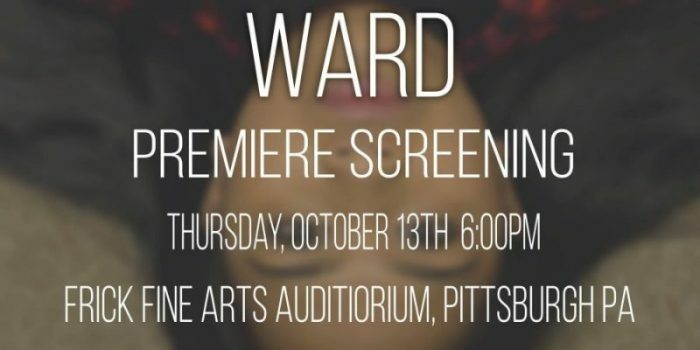 The movie, Ward, is about a girl who tries to commit suicide and ends up in a psych ward. Now this isn’t your typical movie about a psych ward, full of creepy twists and turns and scary patients who zombie down hallways. This movie is a realistic approach to what it means to be suffering from a mental health illness, and how reaching out for help can sometimes be the best thing to do. This movie shows you how NOT alone you are, how normal it can be to suffer from mental health, and how important it is to seek the help that you need. So I’m not asking you to go see this movie so that we can pack that auditorium. That was never the intention behind creating, or being a part of, this movie. But I am asking you to go see this movie if you feel alone, if you feel sad, if you feel that the whole world is against you, if you feel that you are not good enough, are not worthy of love, or you are just feeling off lately. I’m asking you to go see this movie if you or someone you know is suffering from mental health and you want to learn more about it, or maybe even talk about it. I’m asking you to go see this movie because I care, we care, and that’s why we created it in the first place. The screening starts at 6 pm at the Fricke Fine Arts Auditorium in Pittsburgh, Pennsylvania. It will be followed by a Q&A session discussing mental health awareness. And the whole event is completely free, and snacks and drinks will be provided. Follow @wardmovie for updates about future screenings.